As I mentioned in the last post, Tim had been casually following the fall baseball season with the idea that since we were headed south along the Missouri River, and Kansas City happened to be on the Missouri River and the Kansas City Royals were doing very well in the American League Playoffs, it would be a wonderful experience to attend a World Series game in Kansas City. 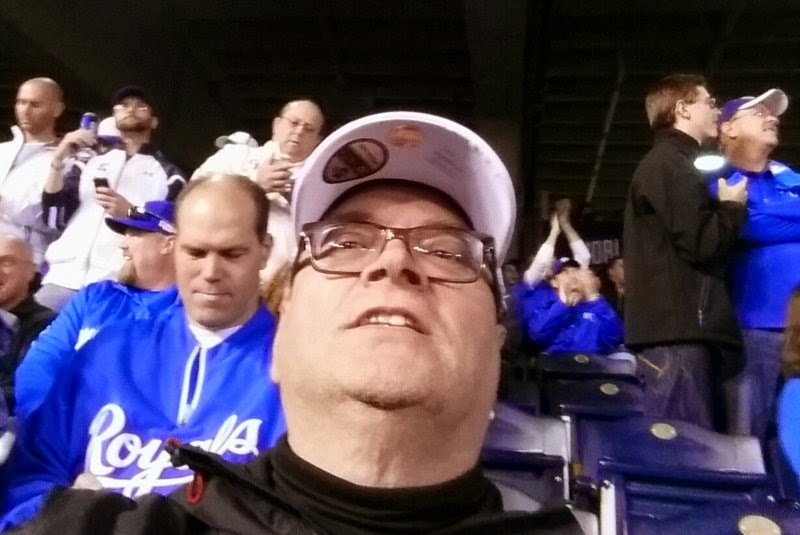 Of course, he would have to root for the Royals. Well, Kansas City did win the American League Pennant. Tim casually mentioned his idea to me, and I was all for it. 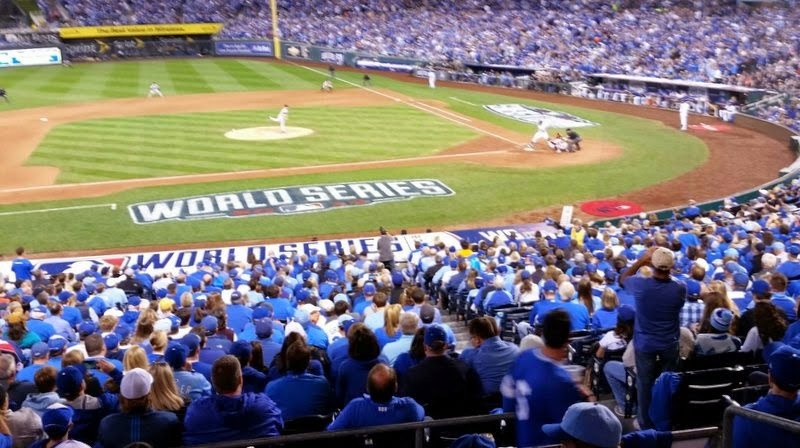 After all, how many times do you have the opportunity to go to the World Series? A quick dash down the interstate from Council Bluffs had us arriving in Independence, Missouri, in the early afternoon of October 22, just in time for Tim to take a nap before leaving for Game 2 of the World Series. We had picked Independence because of its proximity to the stadium, but the city is also close to Kansas City and the other sites that we thought we might visit. It wasn’t all fun and games while we were in town. We also had to take care of a “check engine light” that popped up on the RV on the way to Kansas City. Luckily, Kansas City has two service locations for Sprinters. The Mercedes-Benz dealer was booked for the next week, but the Freightliner dealer offered to squeeze us in on Friday. It was a very early morning for us, and we arrived at Freightliner before 8:00 am. I think that must have set a record! We shared the drivers’ lounge with the big rig truckers and couldn’t help comparing it to the Mercedes waiting areas we’ve become accustomed to. Although this lounge didn’t have free cappuccino and cakes, it did have a washer and dryer. I guess I should have brought my laundry. Luckily, the issue with the engine was minor, and the RV was back in tip-top condition for just $150. We were out the door by noon. Independence, Missouri, was the home town of President Truman, and we paid a visit to the Harry S Truman National Historic Site. On our tour of the house, we learned about Truman’s life, as well as his political legacy. The “Summer White House,” as it was called, is preserved just as it was when his wife died in 1982, ten years after her husband’s death. We have visited several presidential homes during our various travels, and I find that they help me get a real sense of the man behind the president. 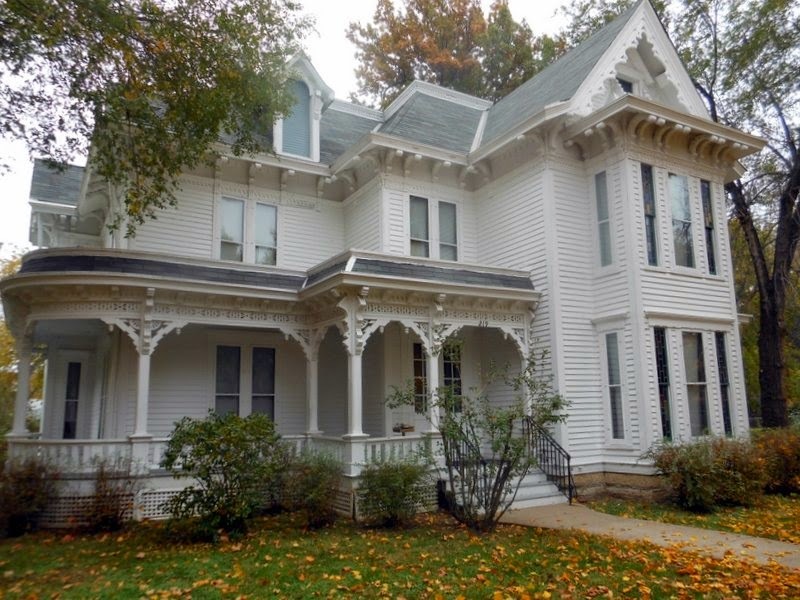 Truman lived a very simple life, and his Midwestern values are apparent in his home. 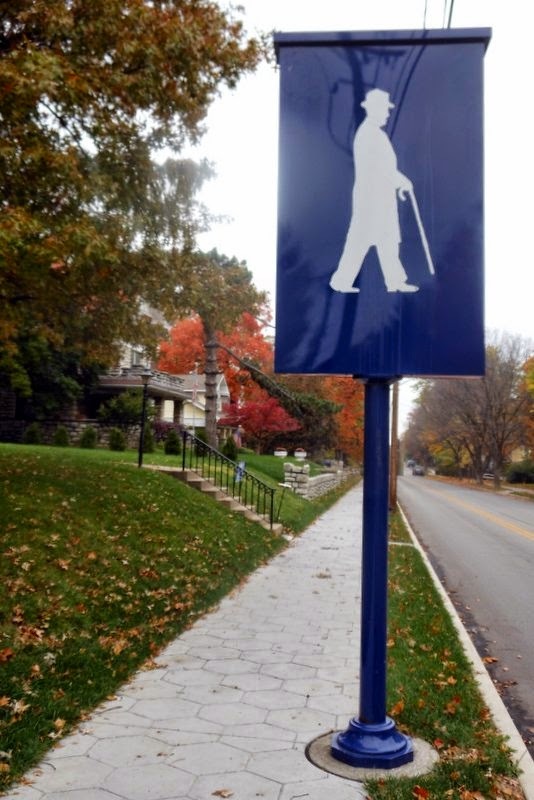 Independence capitalizes on its most famous citizen, and other sites connected to Truman are scattered throughout the city. 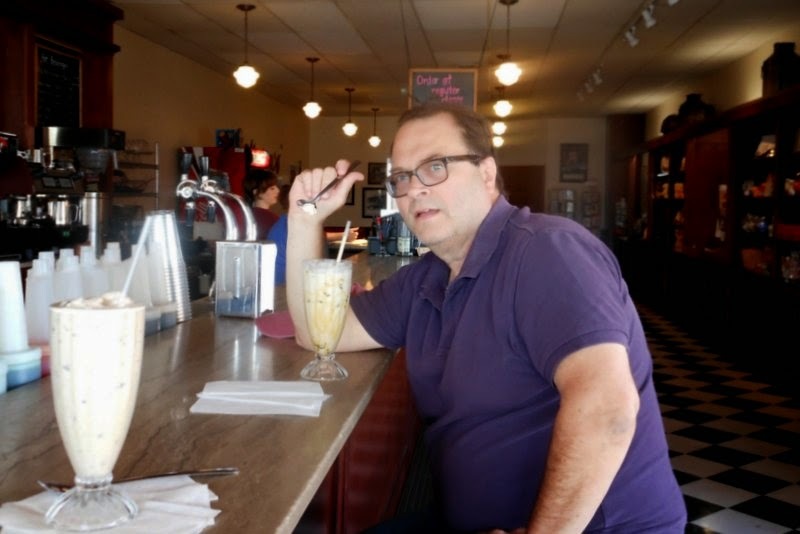 Our favorite was Clinton’s Soda Fountain, the site of Truman’s first job. We enjoyed sitting at the counter and watching our milkshakes being prepared. Yummy! There are quite a few museums throughout the country devoted to telling the story of the historic westward trails. Although I had just visited the center in Council Bluffs, I decided to check out the one in Independence while we were there. The National Frontier Trails Museum chronicles the history of five of America’s western trails – Lewis and Clark, Santa Fe, Oregon, California and Mormon trails. 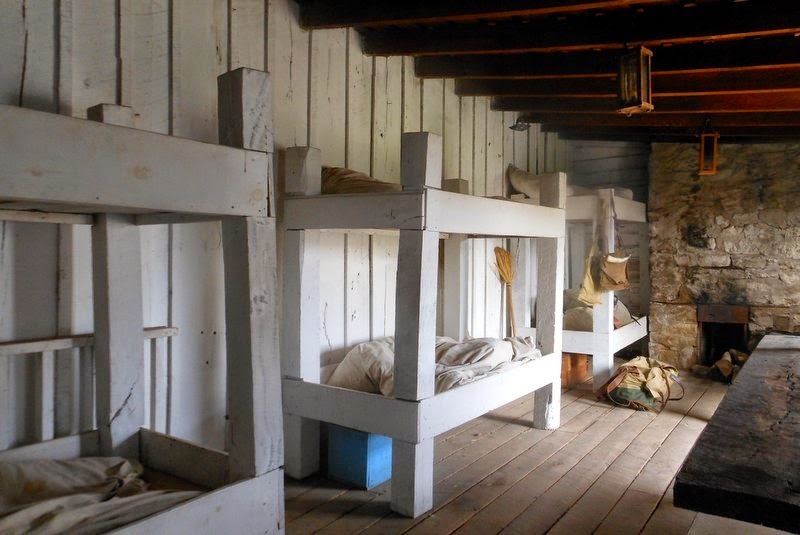 Independence was a starting point for several of these trails, and the museum tells the story of the challenges and heartbreak faced by pioneers through artifacts, diaries and hands-on activities. The museum was worth a visit. 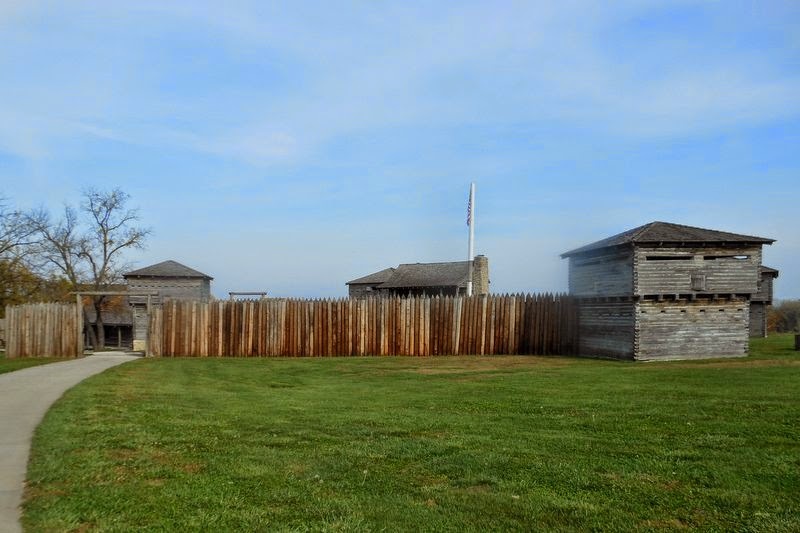 Tim and I also ventured eastward a bit along the Missouri River to Fort Osage National Historic Landmark. 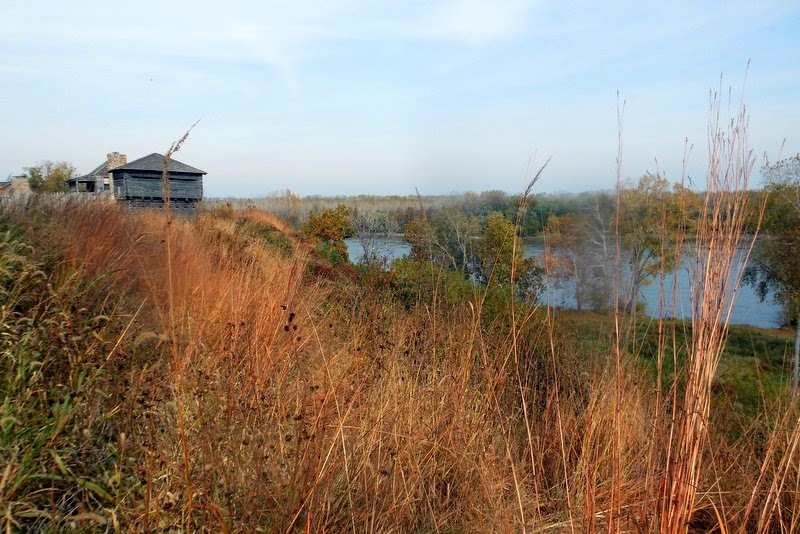 The site on which Fort Osage was constructed overlooks the bends of the Missouri River and was first observed on June 23, 1804 by Lewis and Clark as a likely spot for a fort. After the expedition William Clark, acting as the Indian Agent for Upper Louisiana, established the fort in 1808 as a trading post with the Osage Indians. Reconstruction of the fort was begun in 1948, and an impressive education center was opened in 2007. I also broke down and bought a new camera during our stay. My old camera had a few issues, and I wanted one with a longer zoom. Although I love to take photos, I’m not a serious photographer and have no desire for a sophisticated DSLR camera with multiple lenses. A good quality point-and-shoot that will fit in my purse is more my speed, and that’s what I got. So far, I’ve been happy with it. The weather was crazy during our week in Independence with temperatures in the 80s. It was hard to believe it was almost Halloween. I knew it would be cooler by the end of the month, but still pleasant. We didn’t feel compelled to head south just yet.